Now that Vassilis Rapanos is officially not the new Finance Minister of Greece, here’s a translation of a possible backstage explanation of why he took that decision. First of all, Rapanos did not resign, he simply denied the post, since he hasn’t managed to take office yet. According to enikos.gr, Rapanos has asked to work with several colleagues of him with whom he has worked in the past. According to Greek journalist Nikos Chatzinikolaou’s portal, these colleagues were Yiannis Stournaras, Tasos Giannitsis and possibly Alekos Papadopoulos. Up until the meeting of the three political leaders (New Democracy, PASOK and Democratic Left) in which Rapanos participated, he had the idea that his demands were going to be satisfied. However, new government spokesman Simos Kedikoglou informed Rapanos of the final team of Finance Ministry officials. Rapanos was enormously pressed by this move and his health, already troubled by a previous health issue, deteriorated. He even discussed with some people the possibility to deny the post but haven’t done so because such a move would have catastrophic impact to the image of the new Samaras administration, especially in its image towards Europe. On Friday morning he visited the Ministry where he was supposed to officially take office but, under the pressure of the circumstances, he fainted and was transferred to the hospital. Enikos.gr mentions people close to Vassilis Rapanos as the sources for the above information. Did the trial of Papandreou begin? It seems that the investigation on the alteration of Greek Statistics (in 2010) has bumped into some sort of political involvement. The case began last September after the complaint of Zoe Georganta, a professor of Econometry at the University of Macedonia (Thessaloniki) & a member of ELSTAT (the Greek Statistical Authority), who said that the 2009 deficit was artificially augmented. She underlined that in November 2010 ELSTAT accepted pressures from Eurostat and produced a higher number for the country’s 2009 deficit, at 15,4% instead of 12-13% which was the real number. The goal was to make it politically more feasible to pass further economic reforms (cuts in salaries & pensions as well as taxes). Financial prosecutor Grigoris Peponis has collected testimonies from 17 people who were involved in the case. His conclusion was included in the letter accompanying the case file on its way to Greece’s Supreme Court (Areios Pagos, the descendant of ancient Areopagus). In this letter Peponis says that there is evidence concerning criminal offences (under the Law on Ministerial Responsibility) by members of the the Greek government. He also wrote that in the testimonies there is explicit reference to an augmentation and an arbitrary determination of the 2009 public debt. The blame for this, according to the testimonies submitted to Mr. Peponis, is targeting the then Prime Minister, members of his government and the respective Finance Ministers. After the Supreme Court, the case file will be transferred to the Greek Parliament which will decide on possible political responsibilities. In other words, this could be the beginning of a Special Investigative Committee and, if responsibilities are found, a Special Court for George Papandreou and his administration. The names of those who testified were also made publicly available. Mr. Peponis had also invited current ELSTAT chairman, Andreas Georgiou, to testify but the latter did not provide a sworn testimony. 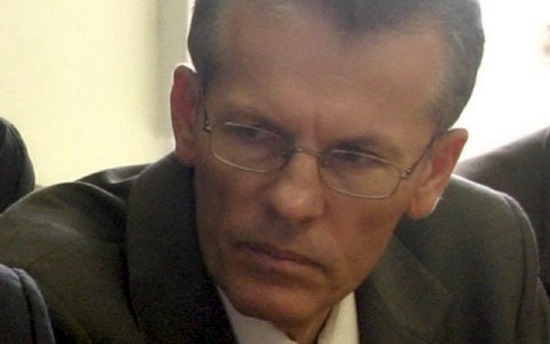 In addition, George Papaconstantinou, Finance Minister during the examined period, rejected any claims against himself. In a public statement, he concluded that “there is an attempt to penalize the truth about the grave situation Greece was in 2009“. Mr Papaconstantinou is now Greece’s Minister for the Environment. One of the biggest problems of the Greek economy is tax evasion. If you ask any ordinary Greek he’ll tell you several cases of tax avoidance that he knows. I recently read the story of Professor Diomidis Spinellis of Athens University of Economics and Business. In 2009, the Greek Ministry of Finance hired Spinellis in an attempt to organize the approach to tackle the problem. Spinellis tackled the problems like it was programming challenge. He made something called a mind map. A mind map looks like a tree, and it maps how your brain works. And Spinellis’s mind map illustrated in a precise, clean manner why Greece is missing so much of its tax revenue. First on the mind map. Locate the tax evaders, he thought, and improve tax collection. It should be easy, because wherever he looked in the data, he saw tax evasion. Spinellis’s program found hundreds of thousands of cases of potential tax fraud. Greece has three hundred regional tax offices. Spinellis thought the solution was simple. Share the data with all of them and wait for the revenues to come flowing in. Most Greeks will tell you there is widespread corruption in the tax offices. Collectors take bribes. So Spinellis added a new item to the mind map. Management issues at regional tax offices. Spinellis wrote a small program that would extract each day’s performance data from every single tax office. It recorded information on how much revenue was collected, how many cases were closed, the number of days it took to close a case, etc. It also kept a list of the tax offices that had not closed a single case that day. There were hundreds of them. The program sent an email every single afternoon to the finance minister and every tax collection office, reporting which offices did absolutely nothing that day. And still, days passed with no action. The whole idea behind Spinellis’ project was so simple that one can wonder why the Greek Finance Ministry hasn’t thought of it until now. Why wait until 2009 to organize the country’s tax income? And why hire someone outside the Ministry for something so simple when the Ministry and the Tax Offices employ several thousands of people? It is around this point, two years in, that Spinellis had a disturbing thought. A new item on his mind map. Fixing Greece’s tax system, and ultimately making the Greek economy work, was not a matter of tweaking his computer programs. It was not an information problem. It was a culture problem. If the people don’t want to pay taxes, the collectors don’t want to collect, and the politicians don’t want to punish them, perhaps Greece needs more than a mind map. At the end of 2011, Spinellis resigned from his government job. He’s back to teaching. This is the 4th part of Greek journalist Pavlos Papadopoulos’ article on the run-up to the current Greek economic crisis, published by “To Vima” newspaper (16/10/2011). The first part of the article is here, the second part is here and the third part is here. 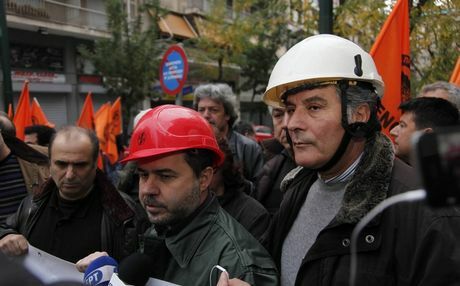 “Neither Papandreou nor any of us believe in the Memorandum” says a Minister. “I’ll remind you that the Medium-Term Program was fifth in the row when discussed at the Cabinet, right after the legislation for companion dogs. The whole government is in denial”. This denial led to a blackmail, using the drachma. On Friday 6 May 2011 Papaconstantinou traveled to Luxembourg for a secret meeting with several powerful euro zone Finance Ministers, presided by the Eurogroup head, Jean Claude Juncker. According to the most probable version the cause of that meeting was that, some days earlier, Papandreou had implied at a talk with German officials that the Memorandum’s policy and the German strictness on its implementation could make Greece return to the drachma. This indirect threat annoyed the Germans. It is alleged that Wolfgang Schaeuble himself leaked the information to Der Spiegel Magazine, which posted it in its web edition that Friday evening, after the closure of euro zone banks, in order to drag the Greek government into a disorderly retreat. Despite the upheaval that was caused in Athens, Papandreou delayed for two hours (!) to allow the then government spokesman Giorgos Petalotis to issue a rudimentary rebuttal. He first wanted to learn the European partners’ reaction to the “Greek ultimatum”. The reaction was not a polite one. Papaconstantinou was attacked by Juncker and and Schaeuble, while Jean Claude Trichet left the meeting within a few minutes. The “Greek blackmail” collapsed but it inspired Schaeuble to examine the famous “Plan B”, which is a “euro zone without Greece”. 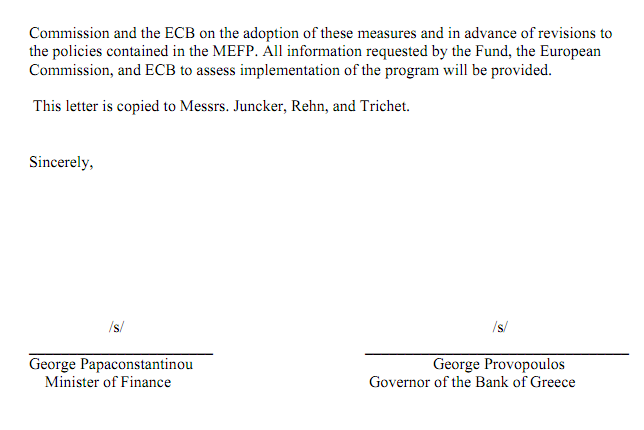 Despite all these, the Greek demands for a new bailout program with decreased interest rates and a prolongation of the deadlines for loan repayments were accepted. It was exchanged with a deeper “domestic devaluation” (of prices and incomes) through a Medium-Term Program which almost led to the fall of the government. Papandreou maintained a secret communication channel with Dominique Strauss Kahn, looking for a platform for IMF intervention in Europe. Within the Papandreou family the IMF is thought to be an organization with a positive impact around the world. Papandreou’s brother, Nikos Papandreou, who participates decisively in the administration of the country (though always in backstage), was a supporter of the recourse to the IMF. The Papandreous believed that an advanced “international” model of administration should be applied to Greece. They have underestimated the fact that IMF means submission. While the prime ministerial mind was lying in Washington D.C., where the IMF headquarters are, Moscow brought Greece closer to… Tel Aviv. The first secret meeting between Papandreou and the Israeli PM, Benjamin Netanyahu, took place at the Russian capital’s Pushkin Café. Greece would provide Israel an alliance and the gateway it needed to push the Leviathan deposit’s natural gas towards Europe. The energy diplomacy with Israel (which couldn’t start paying off but in 5-10 years) was considered a basic component of the strategy for the avoidance of bankruptcy (!). 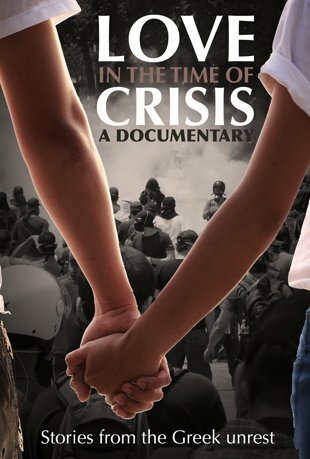 So this is why time was passing by and the government was taking zero efficiency measures, the government’s staffing was carried out through open.gov (unless Nikos Papandreou was intervening in order to promote persons of his own influence into key-posts) and the Ministers were in a constant state of confusion when it came to strategy and responsibilities. The real shock for the Prime Minister came at Davos, at the end of January 2010. “The Hungarian Prime Minister approached me and told me to take measures” Papandreou said to the Cabinet meeting that he called right after his return. “Things are different compared to how they were a month ago” added Papaconstantinou. The Social Democrat Hungarian Prime Minister, Ferenc Gyurcsany, had recent experience with the IMF and wanted to share it with Papandreou. Some time later, he would be defeated at the elections by the Right. After Davos, the atmosphere within the Greek government was like a funeral. They had realized that they “lost” the time. Likewise they also lost the banks. “For a long time they believed that the warnings from bankers were only about the banks’ interests” say sources from the banking sector. They were too late to realize that the state’s exclusion from the markets is accompanied by a similar exclusion of the banks, having as a result the postponing of lending to individuals and corporations which slows down the economic activity, spreads poverty and increases unemployment. The European Mechanism which was presented in 25 March caused the markets’ attack to Greece instead of making them not to do so. Why would the markets lend a state when they can much more safely lend the Mechanism that would then lend the state? Greek bond yields skyrocketed in mid-April 2010. On Friday 23 April, the Prime Minister had a planned visit to the tiny island of Kastellorizo, which had to do with issues of regional development. During Wednesday and Thrusday before the trip the telephones in the Maximou Mansion and the Finance Ministry didn’t stop ringing. Heads of governments and Finance Ministers of big states were calling Papandreou and Papaconstantinou. They were demanding that Greece recourses to the Mechanism because the crisis was hitting bank trust towards their own countries jeopardizing their future. “Are we going to cancel the trip to Kastellorizo?” Papandreou was asked by his associates. “Why should we cancel it? Life goes on” he replied and added “I will make the announcements from Kastellorizo”. The circumstances necessitated a purple tie. In a surreal scenery, with a small fishing boat sailing in the picturesque port, the Prime Minister called forth metaphors from the Odyssey. End of Part 4 of 4. This is the 3rd part of Greek journalist Pavlos Papadopoulos’ article on the run-up to the current Greek economic crisis, published by “To Vima” newspaper (16/10/2011). The first part of the article is here and the second part is here. “The Prime Minister regretted for not insisting to have the Memorandum voted by 180 MPs” says a Minister. This was a proposal that came from Mr. Venizelos and Mr. Pampoukis but the rest of the Cabinet members disagreed. Papandreou regretted for not adopting that proposal because, if he had done it and New Democracy wouldn’t vote for it, he could call for an early election. According to converging sources, Papandreou thought that the Memorandum couldn’t be implemented by a one-party government. This is not what he expected when he was counting on an “international solution” (see Part 2 for an explanation of the international solution). The extraordinary political and social circumstances tested his psychological strength, his close associates were well aware of that. He was feeling trapped in power. In many occasions the men of his security team tried to prevent him from appearing in public which was something he could never think of. He gave considerable thought to the idea of calling an early election at the same time with the local elections in November 2010 but he hesitated once more due to the tight time constraints for the disbursement of the bailout installments. On the morning of 15 June, the day the Medium-Term Program (the so-called Memorandum No2) was brought to the Greek Parliament, while the prime ministerial car was heading to the Maximou Mansion, some gathered citizens welcomed him with a rain of eggs (see video above). For Papandreou, that experience was decisive. He was personally hurt. He reckoned that the attack was an indisputable sign of destabilization, given the fact that at the same time in Syntagma riots were reaching a climax. When he arrived in his office he called Antonis Samaras. “The country is being dissolved. We must form a government of cooperation” he suggested. “The PM should be a third person” was the answer of New Democracy’s leader. “I have no problem” replied Papandreou with an emotionally charged voice and added “I will not become an obstacle to my country’s salvation”. For New Democracy it was a sudden “cold shower”. They didn’t want this development and they were not ready to govern. They leaked the information in order to provoke the expected reactions which would cancel the deal. The Prime Minister’s associates called Nikos Papandreou who rushed to the Maximou Mansion and discussed with his brother. They were just the two of them for quite some time. Nobody knows what was discussed. People who know them insist that they are totally aligned politically and they always act after mutual consultation. According to some sources, the Andreas Papandreou’s second son also called Antonis Samaras, whom he knows personally through the friendship of the New Democracy leader with the Prime Minister. “If you form a government of cooperation, you’ll share the price” he allegedly said to Samaras. However, this specific information has not been officially confirmed. While the drama of a soon-to-resign Prime Minister was evolving at the Maximou Mansion, the hesitant coup of Mr. Venizelos was unfolding at the Ministry of Defense. Already by Tuesday 14th of June, those who had visited the Minister of Defense were left with the impression that he was about to resign. An MP who visited him had the impression that the secretaries were collecting the Minister’s folders. 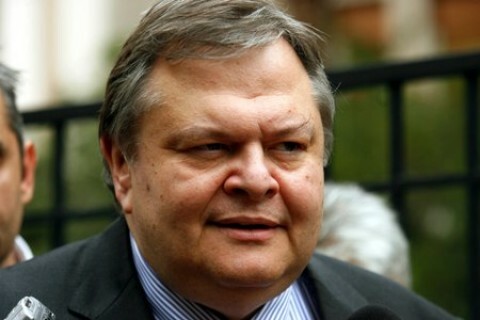 Venizelos himself was implying in his discussions that he could even resign. Of course, he would never mention the word “resign”. “You tell me. What should I do?” was his meaningful question to his interlocutors. This stance inspired other PASOK MPs, as Paris Koukoulopoulos, Kostas Spiliopoulos, Nikos Salagiannis and Dimitris Lintzeris, who were promoting at the Parliament the idea of a government’s overthrow. This “rebellious atmosphere “ is said to have influenced PASOK MP Yannis Floridis who finally decided to resign irrespective of what the Venizelian wing would do. The day after Papandreou’s failure to form a government with Samaras, several MPs who were loyal to the Prime Minister were ordered to appear in front of tv cameras and remember the “ghost of Apostasy” (read more about the history of Apostasy/July events/Royal coup) in order to restrain the Venizelians’ attack. The 46-year-old ghost has once more served the Papandreou family. 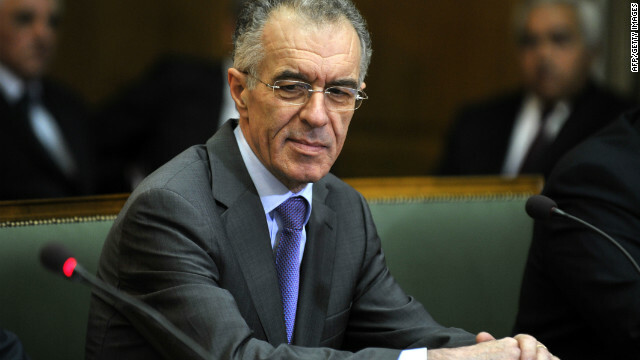 At the same time Papandreou proceeded to a government reshuffle and at 4am of the 17th of June, he appointed Venizelos to take the responsibility of the economy since, for the second time in two years, Lucas Papademos had declined to head the Ministry of Finance. A historic member of PASOK said for Venizelos: “An apostate in the morning, a vice-president in the evening”. Venizelos was reassured by the Prime Minister that night that he could have as Deputy Minister the chairman of the National Bank of Greece, Vasilis Rapanos. However, instead of him, he got Pantelis Oikonomou who, as soon as he accepted the post, took all his speeches off his website. He was against the Memorandum in all of them. Another important point is that Venizelos demanded from the Prime Minister to strip Theodoros Pangalos from his responsibilities. He wanted to be the only vice-president in the government. The Prime Minister invented a “Solomon solution”: he formed a governmental commission without the participation of Pangalos. In that way, Venizelos was “first vice-president”. Thanks to his special political weight, his popularity and his rhetorical prowess, he “passed” the Medium-Term Program from the Parliament. Even if that was partly because he “checked” the intra-PASOK dissident MPs who he himself controls. The “first vice-president” accepted the Ministry of Finance because he estimated that the Prime Minister would later be obliged to call for elections in which PASOK would be defeated and thus he would substitute Papandreou as the party leader. “I know that Evangelos wants elections but I won’t do him the favor” Papandreou is said to have commented to one of his associates during the summer. Most Ministers in their personal discussions they accuse Venizelos of postponing the implementation of the Medium-Term Program’s commitments while waiting for elections. With the possibility of having him as their leader in the near future though, they are very careful in their public statements. When, on the 2nd of September 2011, the troika demanded the immediate implementation of the reforms, Venizelos unexpectedly suspended the negotiations. The heads of the troika left Athens within a few hours. End of Part 3 of 4 – to read the fourth part click here.